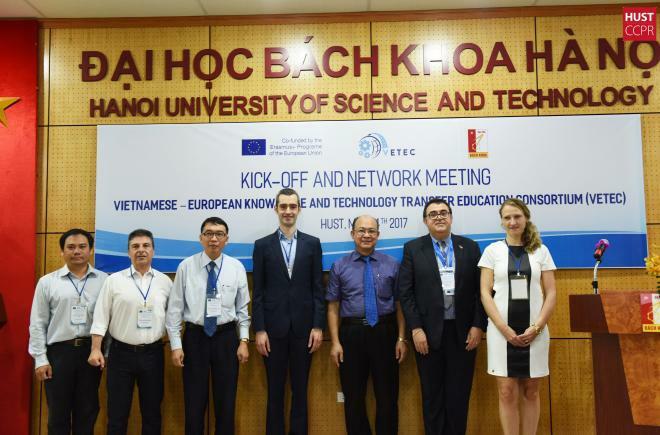 From 24 to 26/5, at Hanoi University of Science and Technology, Assoc.Prof.Dr.Nguyen Quang Linh, President of Hue University, participated in the kick off and networking meeting of the project "Vietnamese - European Knowledge and Technology Transfer Education Consortium". VETEC project is funded by European Union with a total budget of € 712,014 under the framework of the Erasmus+ Key Action 2 (Program for Capacity Building in Higher Education) to be implemented over a three year period (10/2016 - 10/2019). The VETEC project aims to build training models for staff-to-leaders in support of Vietnamese universities and relevant units to enhance technology transfer capacity (KTT) to increase knowledge transfer opportunities. The VETEC consortium consists of three key Vietnamese universities, namely Hanoi University of science and technology (coordinator in Vietnam), Hue University, Can Tho University; three European universities, namely Free University of Brussels (VUB, Belgium), Technical University of Dresden (TUD - Germany), University of Aveiro (UA-Portugal) and six other supporting partners, including Belgian Embassy in Vietnam. All of these partners will form a network of Europe and Vietnam for the development of technology and knowledge transfer training. 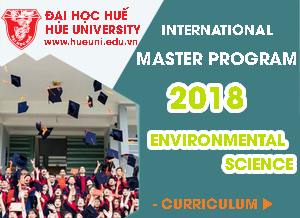 Participating in this project, Vietnamese universities will learn to build and enhance their KTT capacity through developing academic leadership on KTT, strengthening educational capacity in KTT, establishing networks on KTT education and policy among Vietnamese stakeholders and between local and European stakeholders, and by gleaning the European partners’ insights on international KTT. After the closing of the project, the results will be used in KTT training programs. Being one of the three main network development activities of the project, the first networking meeting "How to enhance KTT in Vietnam" took place with the participation of more than 50 scientists, researchers, policy makers, businessmen and in particular Mr. Geert Vansintjan, Head of Development Cooperation, Belgium Embassy in Vietnam. At the workshop, the topics on sharing technology transfer models of European universities, KTT needs analysis and KTT capacity of Vietnamese universities were discussed. In addition, a round table discussion on "Transfer of technology and knowledge in Europe and Vietnam: from context to effects" attracted enthousiastic participation of experts from European universities and Vietnamese participants.